Although it bombed Diana the movie brought a style icon back to life. As the new movie about the late Diana Princess of Wales’ love affair with Pakistani-English heart surgeon Hasnat Khan hits screens we take a retrospective look at one of the most famous style icons of all time. The movie Diana may play like a cheap, soap-opera-style matinee, with sappy dialogue and a drawn-out, limp romantic plot line, but there’s no denying the filmmakers took great pains to recreate one of the most iconic women of the modern era. Naomi Watts does her best with the lacklustre script and, despite being panned by the British media for barely resembling their beloved “Queen of Hearts”, does bring to life the late Princess’s mannerisms and, most notably, her unique wardrobe, reminding us of Diana’s undeniable fashion legacy. 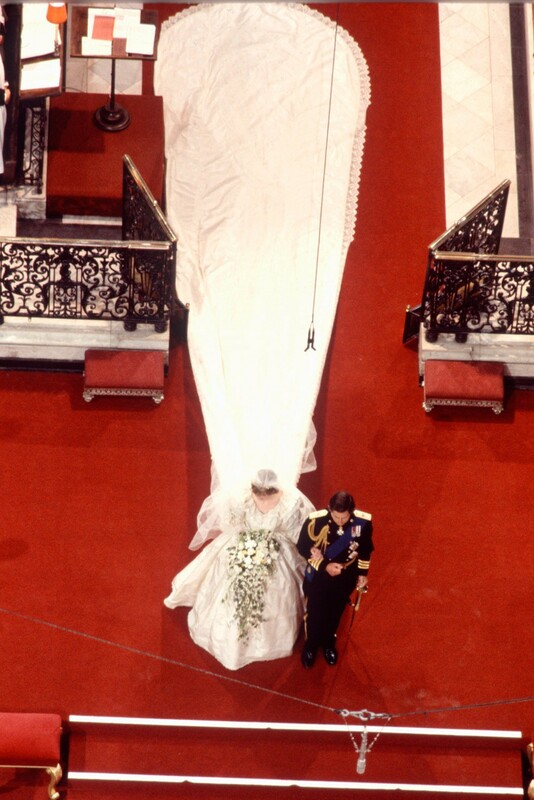 A teacher’s assistant when she met Prince Charles, Diana started out as a shy, princess-in-waiting, favouring the fairy tale princess/Laura Ashley aesthetic replete with bows and frills and one of the longest wedding dress trains in recent history. 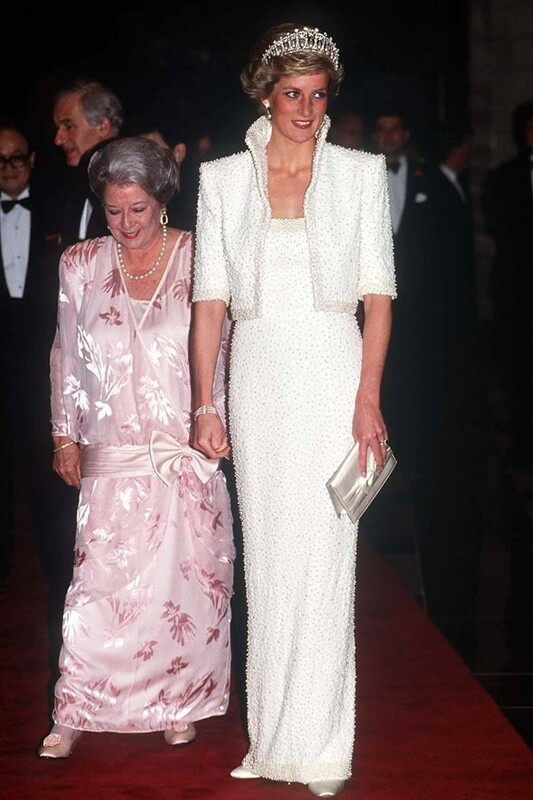 She was also something of an ambassador to the English fashion industry, putting designers like Catherine Walker, Jacques Azagury (who recreated eight of his gowns for the Diana movie), Victor Edelstein and Bruce Oldfield on the map. She favoured Walker, wearing more than 500 of her creations during her Royal life. 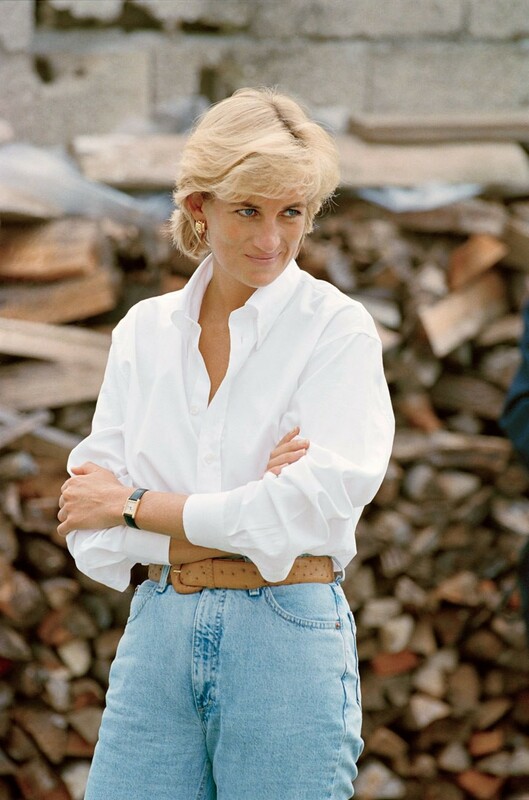 Yet, we know all too well the fairy tale didn’t last and in the late 80s and early 90s, as her marriage began to unravel, Diana’s personal style evolved. She began to push the envelope with more daring hemlines and figure-hugging gowns. 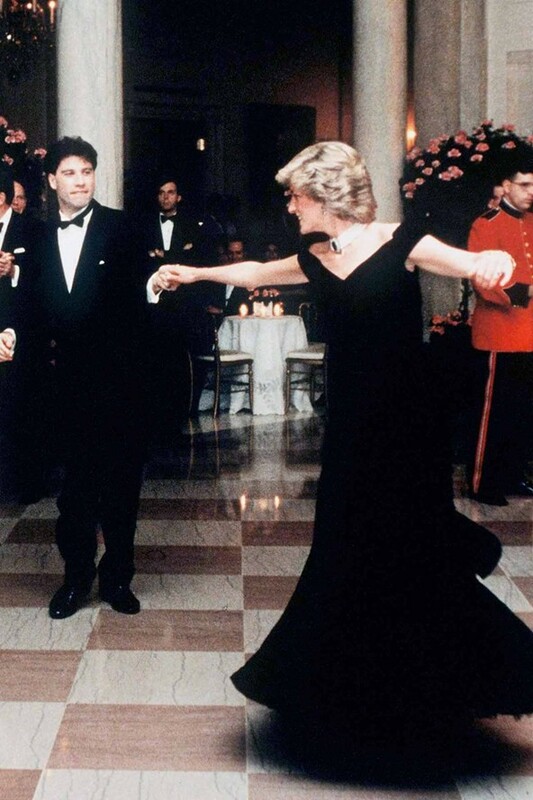 Who can forget the midnight blue, velvet, Victor Edelstein gown that Diana, together with dance partner John Travolta, tore up the White House floor in during a State Visit to Washington. 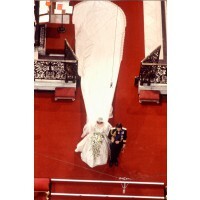 Not too mention the infamously named “revenge dress”, a tight and short, black, silk Christina Stambolian creation that Diana wore to a public engagement in London the very day that Charles confessed his affair with Camilla Parker Bowles. Despite championing British designers until her death, her divorce from Charles freed Diana to experiment with international designers for her ongoing public appearances and charitable work. She favoured Versace and was a personal friend of the late Gianni Versace, but also wore designers including Valentino and Christian Lacroix. Diana’s timeless style can be seen again and again in the creations of designers today, notably her penchant for cobalt blue and sequins, proving you don’t have to be a princess to look chic. You can bet Princess Catherine is applauding her late mother-in-law’s fashion legacy, as she too has thrown out the dowdy pastel suits, large hats, pearls and matchy-matchy bags. Which of Diana's fashion phases did you like the best?